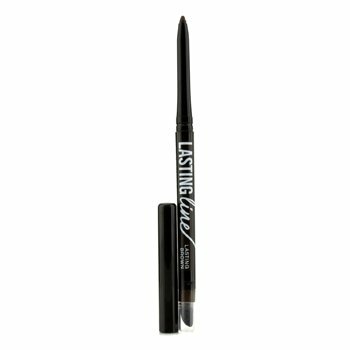 A mineral-rich, long-lasting eye liner pencil. Features a soft, creamy texture that glides on smoothly. Contains a nourishing blend of minerals and vitamin C for soothing benefits. Draws a precise line with richly pigmented color. Includes a built-in sharpener plus an ergonomically angled smudge tip for easy blending. Creates endless eyeliner looks from natural daytime allure to ultimate smoky glamour. Gives a long-wearing finish that won't smudge, smear or fade.